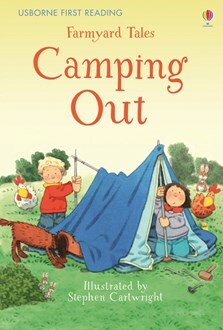 Poppy and Sam decide to go on a camping trip, but Daisy the cow wants to join in too. Young children will love this charming short story from the much loved Farmyard Tales series, beautifully illustrated by Stephen Cartwright and specially written for beginner readers. There are puzzles to solve at the end of the story, too.